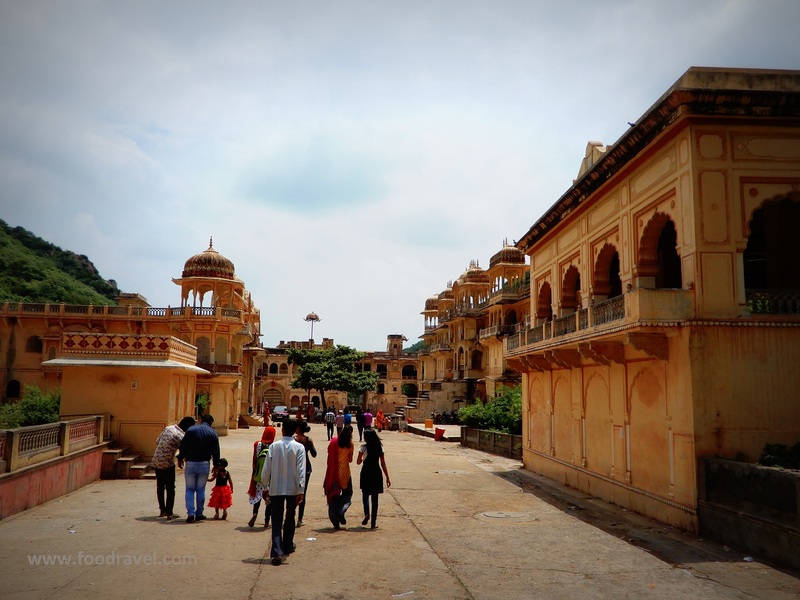 Recently I made another unplanned trip to Jaipur. I left home for Delhi but at bus stand of my hometown, I boarded in the bus to Jaipur and reached there with nothing much in mind. I love solo traveling and it gives me liberty to make ways whenever I feel like visiting any place, just pack bags and leave, oh yes money is important factor as well. 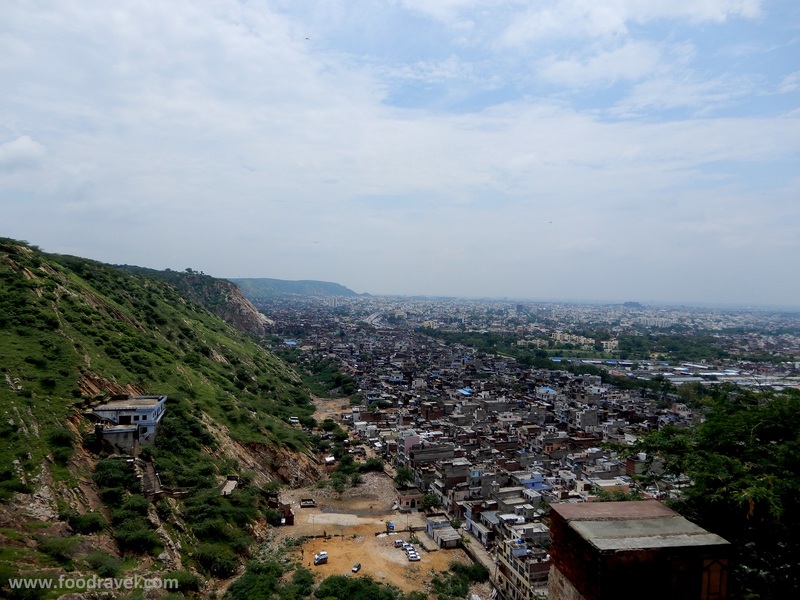 So, after reaching the pink city, I checked the places which I couldn’t visit in my last journey to Jaipur. 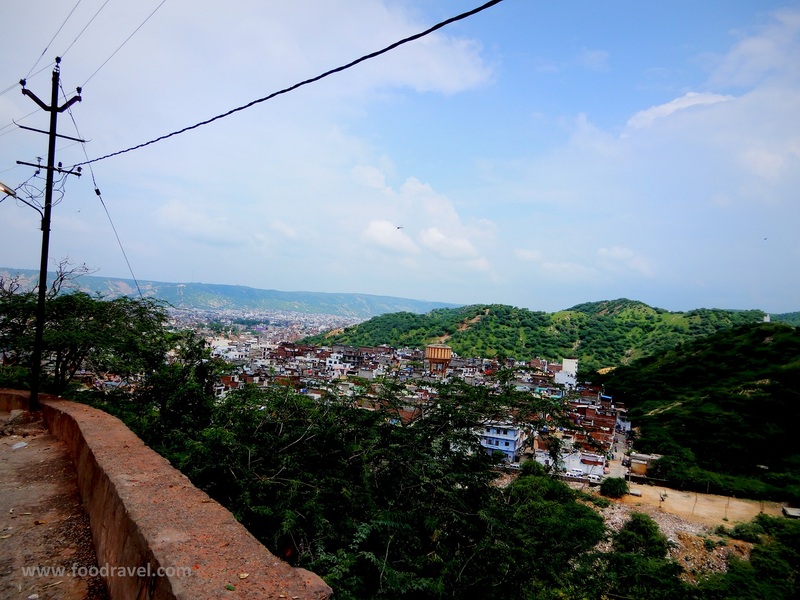 And on the top was the famous Galtaji Temple Jaipur, also known as the monkey temple. I have watched a lot of documentaries on this temple on National Geographic Channel back in childhood. I still remember they used to refer Galta gang. And the monkeys here are very friendly. So, I stayed at my relative’s place and chalked out a random place for the first day at Jaipur. 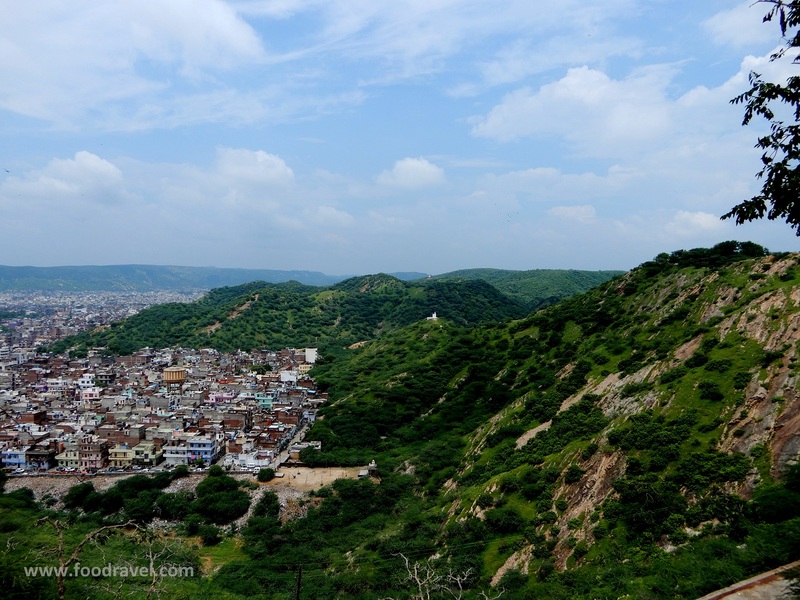 How to reach Galtaji Temple Jaipur? Well, I went Galtaji temple from Narayan Singh circle. This circle is like IFFCO chauk of Gurgaon. You will get the buses for different places which you may not get from the bus stand. However, I wasn’t aware of the route to Galtaji, after reaching Narayan Singh circle, I checked on Google maps. But I couldn’t figure out. Finally, I asked a traffic police officer. And then he told me that I need to take a cab for Transport Nagar Jaipur. I crossed the road and reached the stop. Here I took a shared cab to Transport Nagar which costed me just 10 rupees. 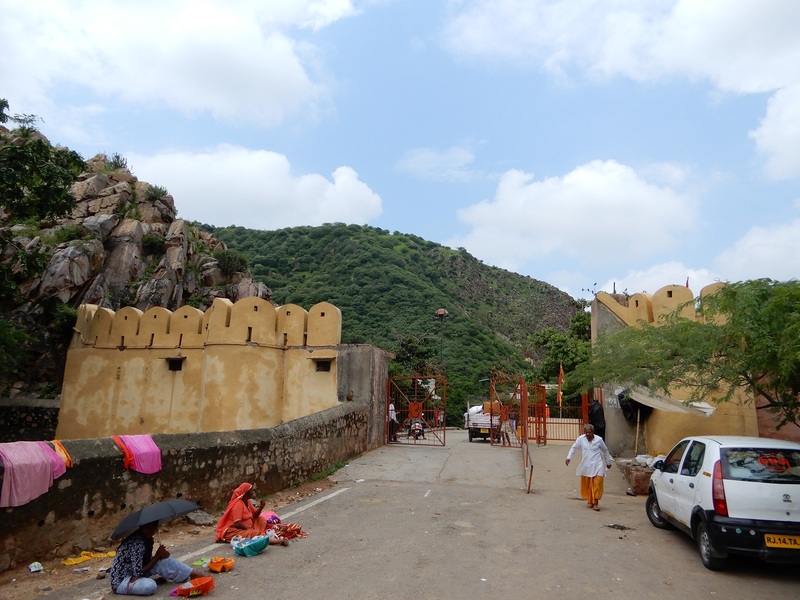 Now from here, I took an e –riksha which dropped me at the entry gate of Galtaji Temple. And from here, I took a long walk. It looked like trekking. The mountainous path, through several ups and downs takes around half an hour. There is one thing for which Galtaji is famous and that is monkeys. You will see monkeys everywhere on the way. Young monkeys, old grandpa monkeys, mother monkeys, tech loving monkeys who might jump on your camera gears, fighter monkeys, gymnastic loving monkeys etc. You will see monkeys fighting with each other, or giving each other some relaxing massage. Now all you need to do is not to offend them by any gesture or any action. So when you enter the main gate, you will find several shops, selling eatables for these lovely animals, especially the roasted chana or whole black grams. Grab a packet, smaller one costs 10 rupees whereas the bigger one comes for 20 rupees. And when you are stepping up, just put a handful of chana on the embarkment and the monkeys will come themselves and will pick and run away. Make sure that you aren’t inviting a big group of monkeys. Carry enough water and food may be as you won’t shops on the way. While you walk the path, you will get to witness the city’s scenic beauty and thus you will get to have a perfect situation for some of the most amazing pics for Instagram. I stopped on the way at several places and clicked lots of pics. Now as I travel alone and I don’t even carry a tripod, so I have to face little challenges while clicking photos. I click with my smartphone and I click with my camera. Sometimes I combine both the camera to come up with some interesting and amazing clicks. 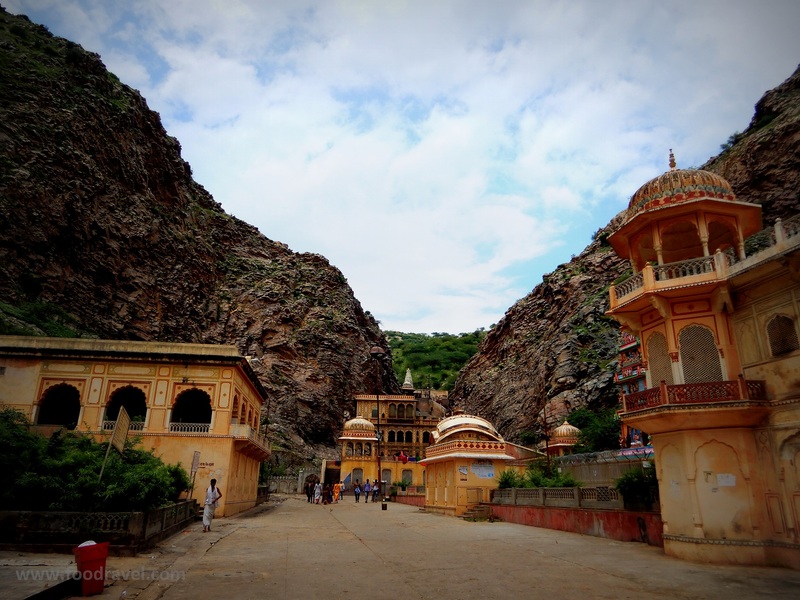 Where is Galtaji Temple located? 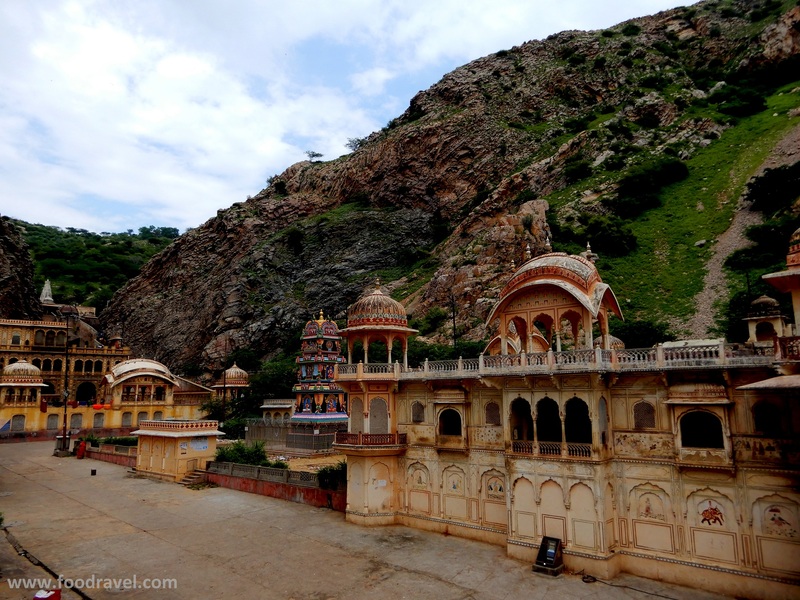 The temple is almost 10KM eat of the pink city built within mountain pass. 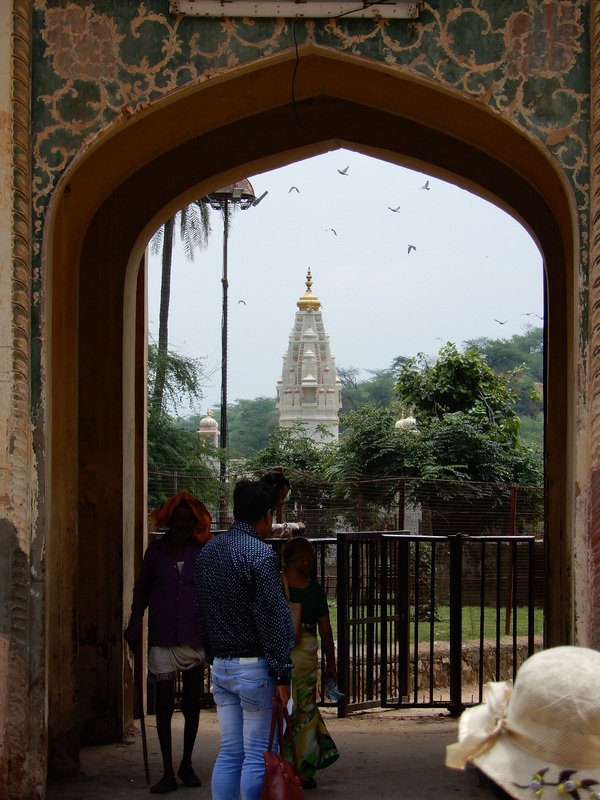 It is said that Diwan Rao Kriparam built the present temple of Galtaji in 16th century. He was a courtier of Swai Jai Singh II. 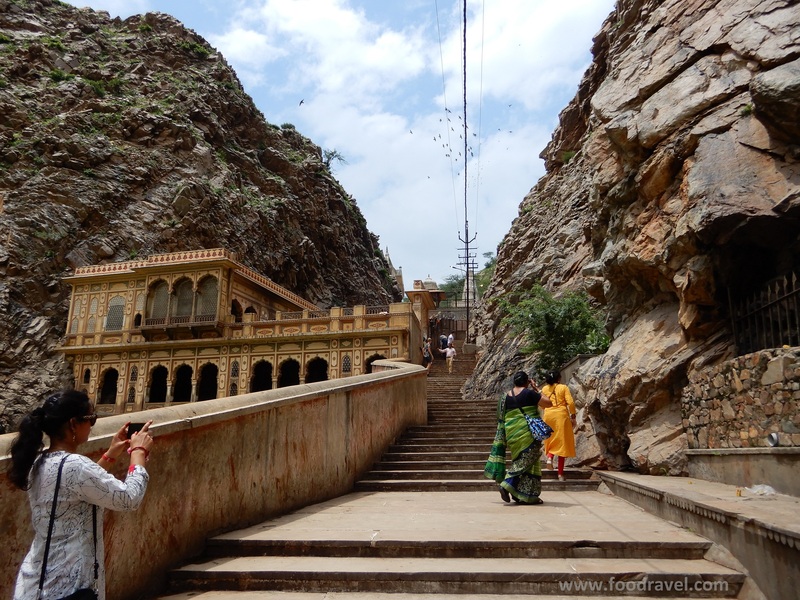 The main Galtaji temple is built with pink stones. 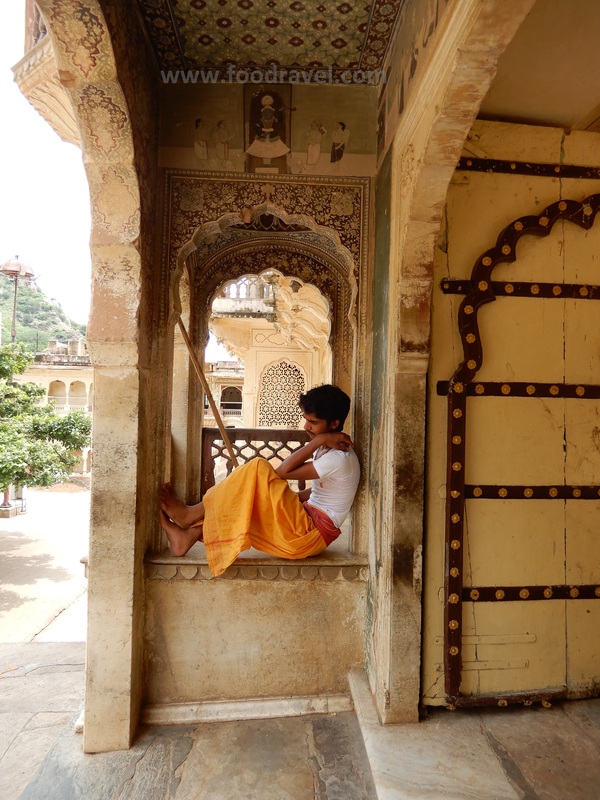 You will find several carved pillars, rounded roofs, pavilions, painted walls and monkeys, not to forget. There are seven pools which are created by natural spring and waterfalls. 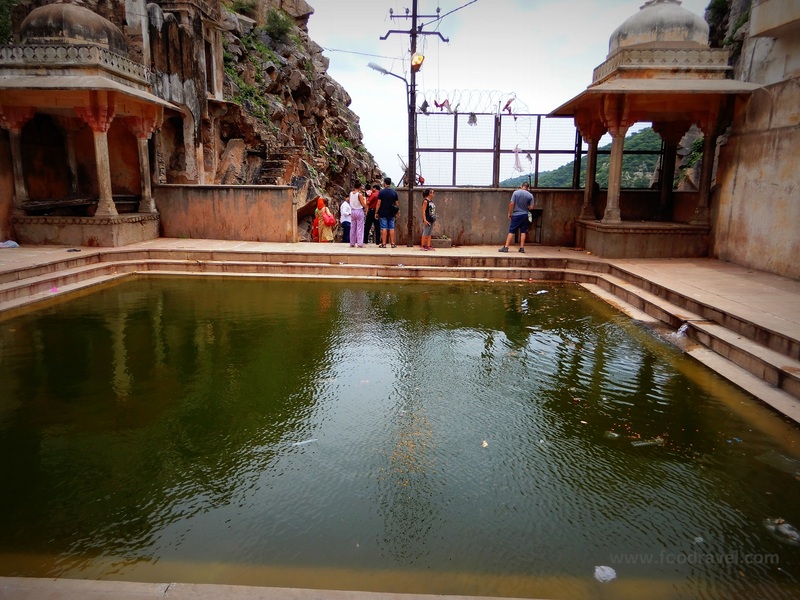 Among these, Galta kund is known to be the holiest one. It is believed that is never dries. People come here to bathe almost all the year but specially on Makar Sakranti. One thing that you will find in abundance here are the monkeys. From the entry gate to the main temple, there are monkeys everywhere. 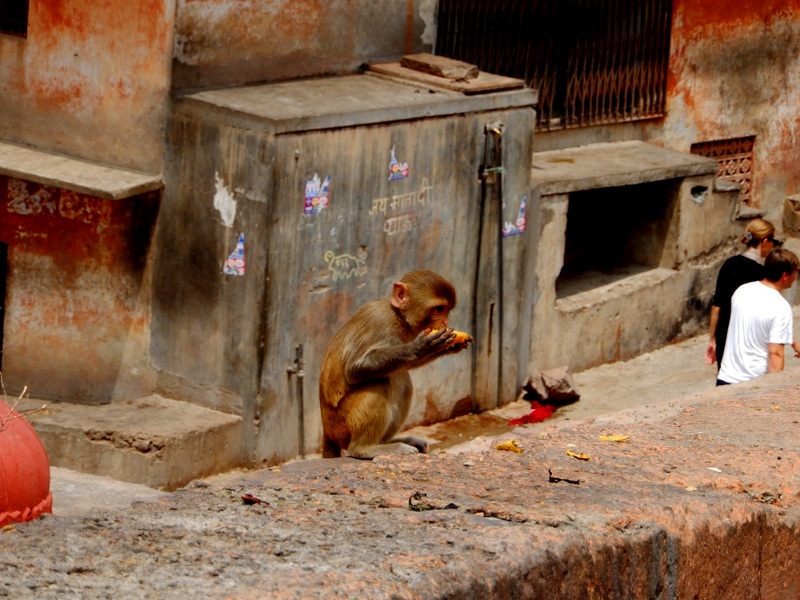 Sita Ram ji temple is also referred as the monkey temple. The temple is lying abandoned and is home to these monkeys. 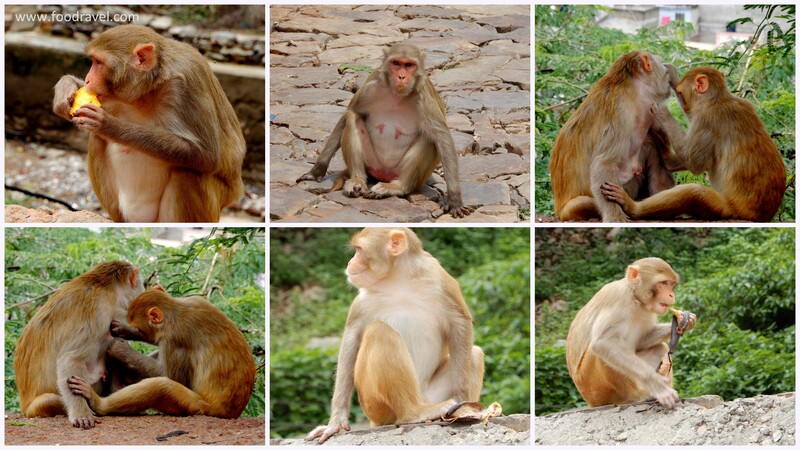 National Geographic Channel featured these monkeys in its Rebel Monkeys series and several other documentaries have been shot here.There are two breeds of monkeys at Galtaji temple Jaipur. One is the langur and the other is rhesus macaque. 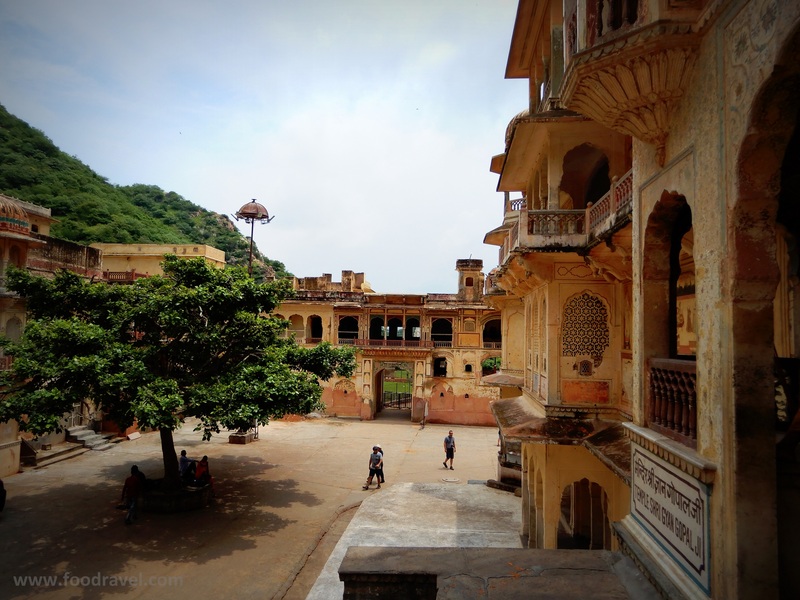 If you are in Jaipur and planning to tour the city’s cultural and heritage, do visit this place. 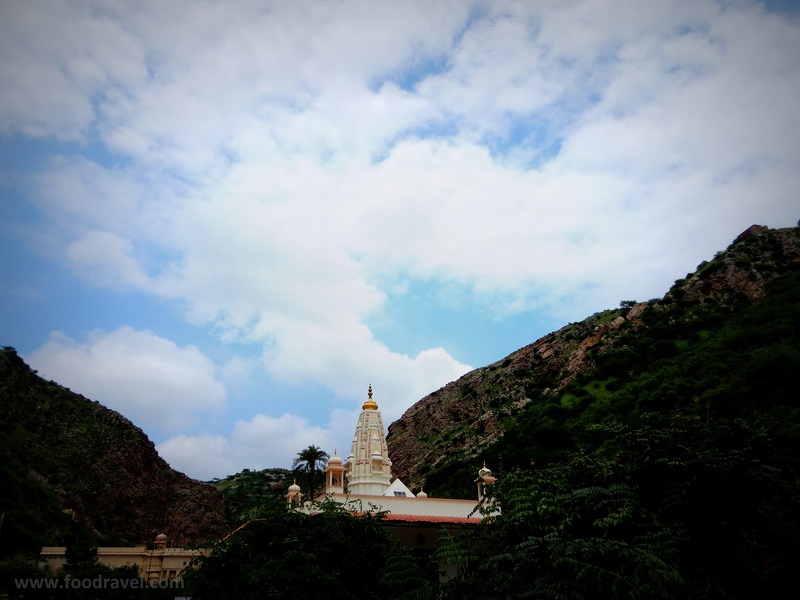 Two things you need to take care before making a plan to visit Galtaji temple. 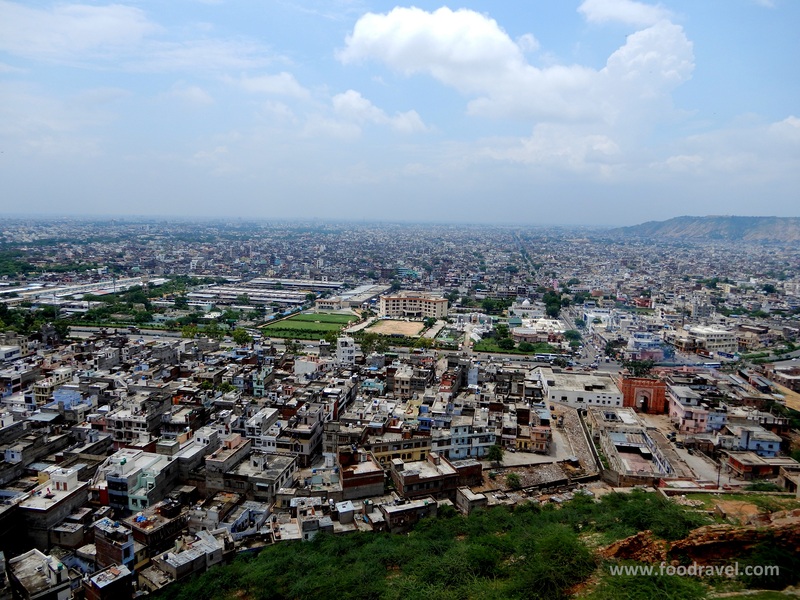 One is it is located in Jaipur which is the state capital of Rajasthan which is known for deserts and temperature. 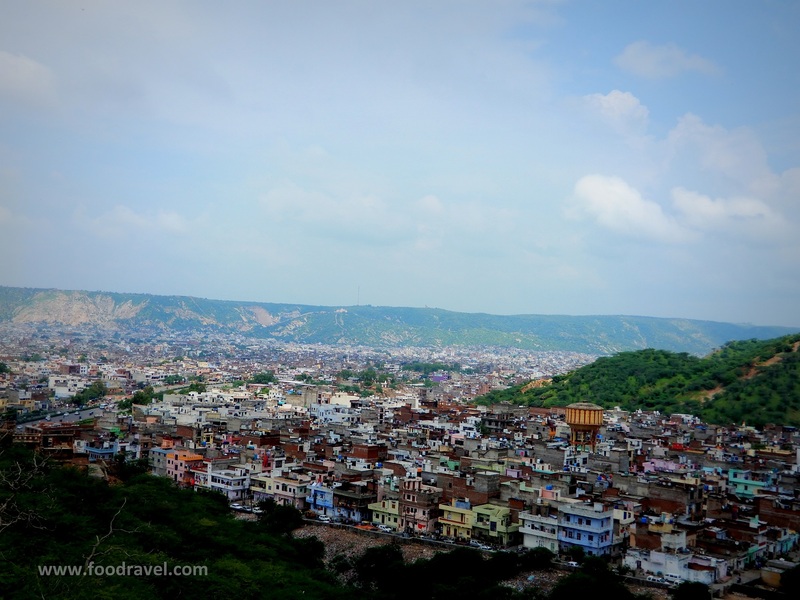 Though Jaipur experiences mixed climate. Second thing to keep in mind is, you need to walk a lot on the mountain path. 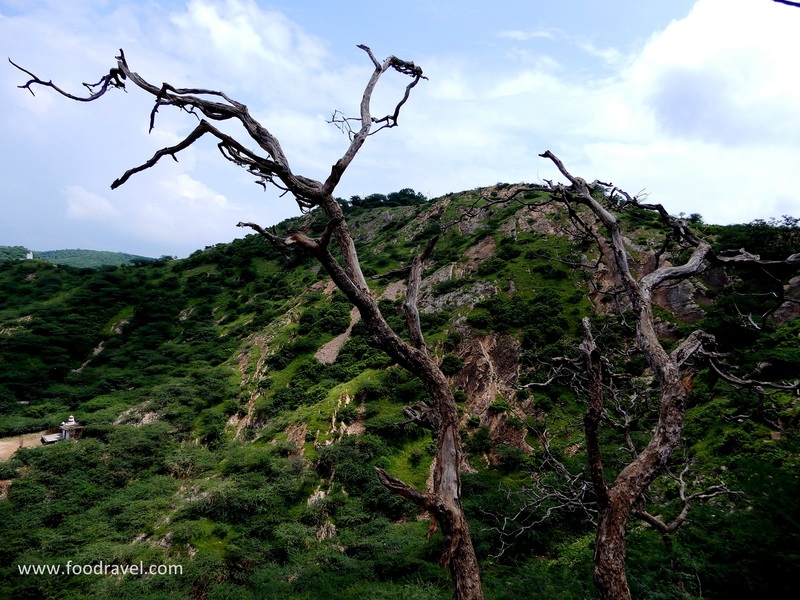 So if you are visiting Galtaji during June to August, not a good time. The sun will be on the top and you will be losing too much of body fluids. Monsoon may bring down the temperature but the humidity will burn you down. Also, it is better to visit here during the evening when the sun is down and the city takes bath in the golden hue. Is there an entry fee for Galtaji temple? No there is no entry fee to visit Galtaji. 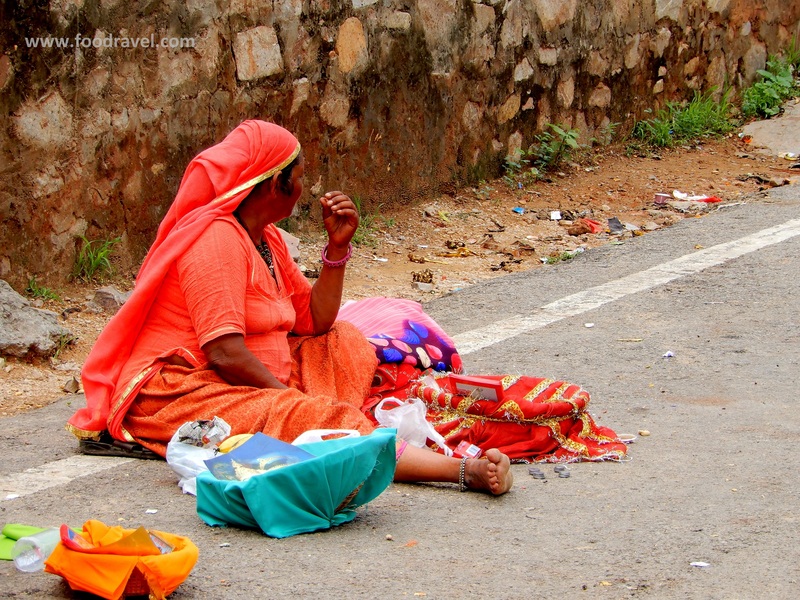 However, you will be asked to pay a fee of 50 rupees for your camera as a part of donation to the temple which is fair. 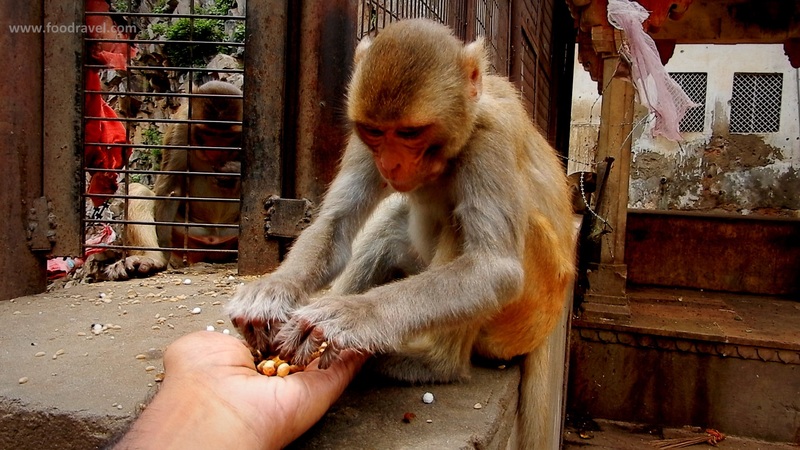 You will also get to feed the chana to the monkeys. 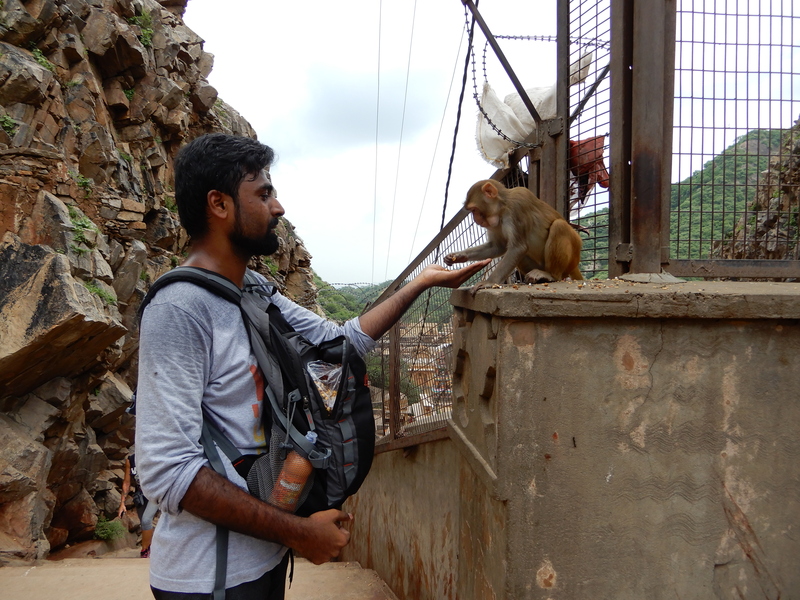 And will also get a chance to get clicked with the monkeys just like I did. I was totally showered in sweat. 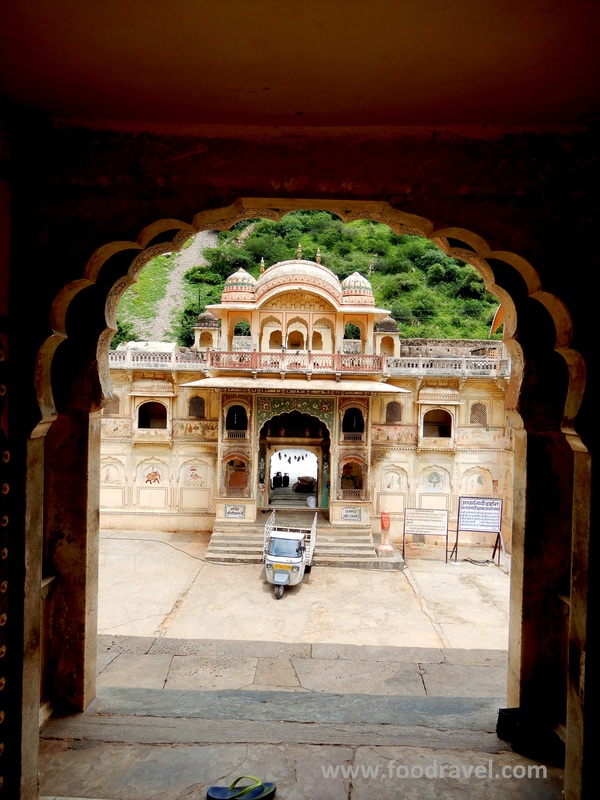 After spending enough time at Galtaji temple Jaipur, I made my way back to the place where the e riksha dropped me. While I was the way, I met with a girl from England and we covered some distance together. We visited a temple which was on the way and clicked few photographs. Then she left with a group. I left alone. I wanted to take a shot which I always take. So I asked a foreign guy, I showed him the pic and asked him to recreate it. From there, I went to Rani bagh in Ghant ki Guni. Amazing post and splendid photographs. Bookmarked your post for future references. 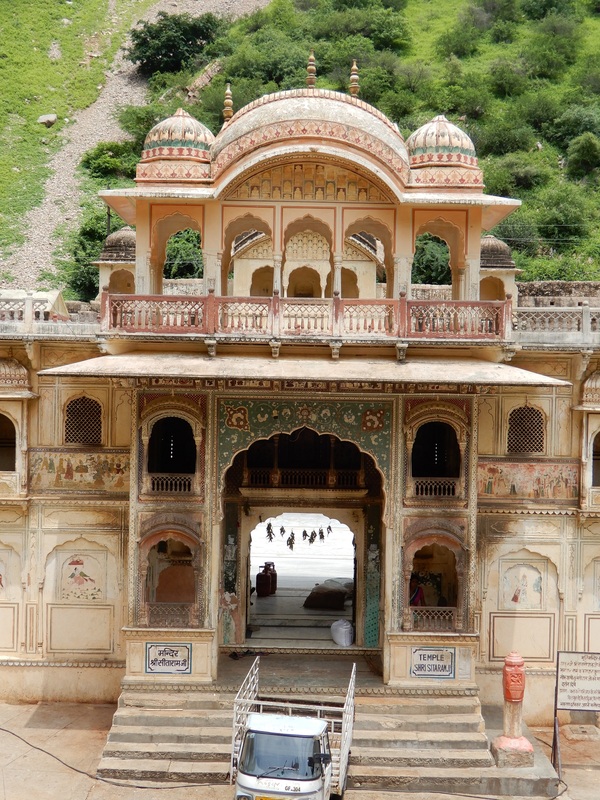 When we plan Rajasthan trip, definitely will include this temple. Thanks for sharing the information. Keep up the good work. Hi there. Thank you for your time and feedback. Make sure that you visit this place. 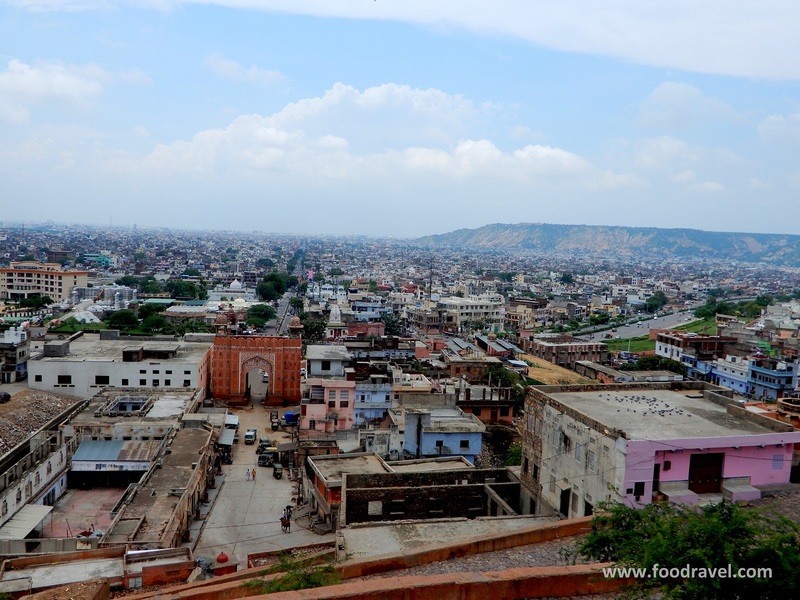 Also you can browse through few more places of Jaipur. to travel when still young and energetic because this is the age when people are more aggressive.